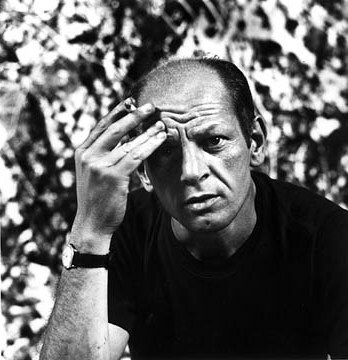 Jackson Pollock showed, at a young age, several displays of misconduct. He was expelled of his high school and was also expelled from a school of art where he attended. To complete the picture, he also had a drinking problem. In 1945, he marries an artist called Lee Krasner and together they decide to move to the suburbs, worn out by the chaotic New York. They rent a house in Springs, on the outskirts of Long Island. There, Pollock will continue with his semi abstract art filled with ancestral symbols and totemic figures. After attending a workshop of experimental painting given by the muralist David Alfaro Siqueiros, in his new studio, Pollock begins putting his canvases on the floor at the same time he experiments with drip painting, learned from the Mexican in his workshop. The technique consisted in dripping painting over the canvas, with a brush or another element, to achieve automatic brushstrokes, originated in hi own subconscious. Pollock’s action painting was key to the development of the abstract expressionism, movement that was emerging in New York City. Instead of the conscious mediation of a motif, the artists that subscribed to the movement, left figures completely and focused in putting the most deep and authentic of themselves in the canvas. As Freud would say: “I am where I don’t think”. 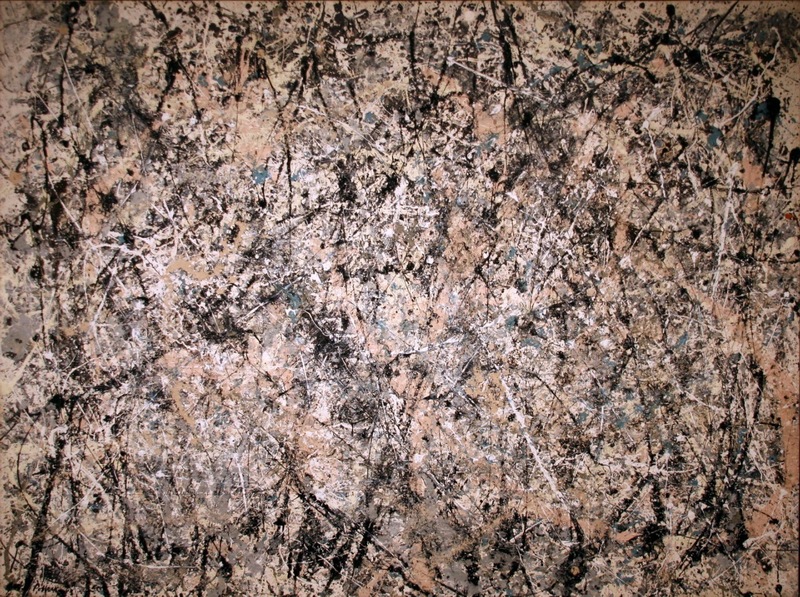 Number 1, 1950 is, probably, the most famous drip painting by Pollock. Although the magazines named the work as Lavender mist, this color is not present in the painting. Here we see a chaotic work, with infinite layers of salmon, white and black painting, with details in petroleum green. The different colors gather in the centre of the work, and they slowly lose light near the edges. The brushstrokes are more linear than other canvases by the artist, expressing anger and fury in the use of the technique. This is a dynamic work, which doesn’t let the spectator to focus in a particular area, but takes it to go over restlessly the entire surface. Number 1 is, until today, regarded as one of the most representative paintings of the period. ~ by Álvaro Mazzino on May 12, 2011. I love this painting. It really does speak to me in many ways I cannot explain. Any way I’ll be subscribing on your feeds and even I success you get admission to consistently rapidly. to in the hunt for extra of your magnificent post. may just I get that type of info written in such a perfect means? I have a challenge that I am just now working on, and I’ve been on the glance out for such info. Your website provided us with useful info to work on. You have done an impressive job and our whole community will probably be grateful to you. glad i found your awsome site. You deserve for much more traffic. This entry was posted on May 12, 2011 at 09:34 and is filed under Abstract expressionism.You can follow any responses to this entry through the RSS 2.0 feed.You can leave a response, or trackback from your own site.